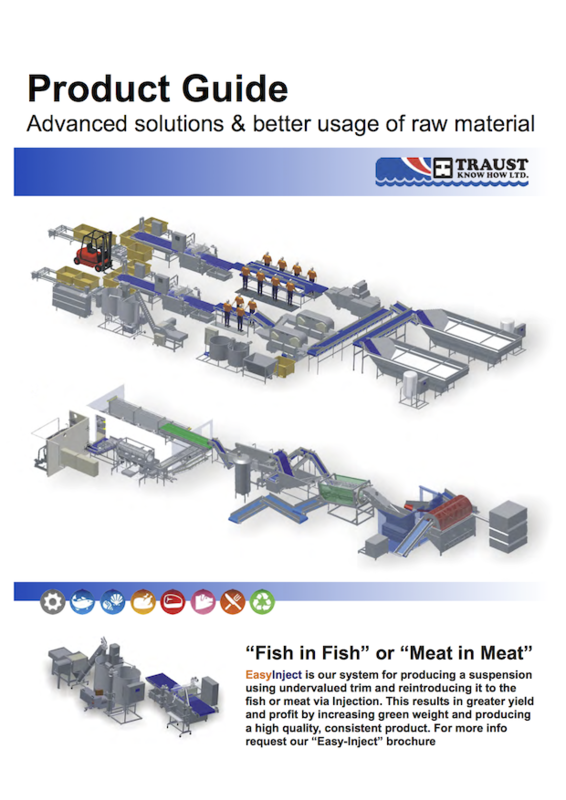 Solutions and Equipment - Traust Know How ltd.
Traust Know How Ltd. has been a leader developing fish processing equipments for over 30 years. 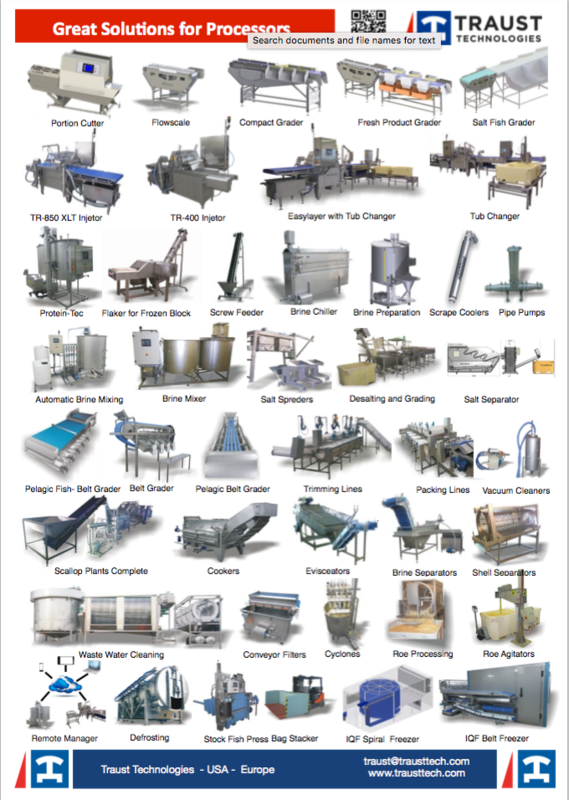 The machinery Traust Know-How produce can be used in different type of food processing. Most of the machine can operate as “stand alone”. It is possible to adapt them to different type of processing. Our scallop processing plants have been sold to countries around the world with perfect track record. We can supply land based and on-board Scallop processing plants. From beginning to end, let us take care of your plant. We are specialist in planing factories to process food. We can assist at any stage of the process in your factory “from the beginning to the end”. Our system s and machine bring you better results and yield. Compellingly transition frictionless opportunities with multimedia based deliverables. Dramatically e-enable team building communities via proactive vortals. Proactively pontificate user-centric solutions whereas professional applications. Environment friendly production is a vital issue for all processing factories. Water quality is important to the process and as well for the environment. Our specialists help you to turn your waste water into valuable product for the company and the environment. We sometimes have used machinery for sale or rent. If you don´t find the machinery you are looking for in the enclosed list then feel free to contact our sales department for information and available machinery.